As usual, we now wait for Winston to determine who will be our new government. Of course, there are some of his policies that I strongly disagree with, like abolishing the Māori seats. But I still have a great deal of respect for this kaumātua and wily old political fox. And there are a number of Pākehā journalists who’d be wise to share, and show, some of that respect. I sat next to Winston in parliament for years, during my Alliance days. That was when he was exposing the high level corruption that came to be known as the “winebox”. He’s a brave man. Back then, there were powerful people who would have liked to see him run over on some dark night. 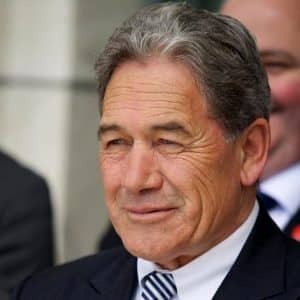 But the shaping of a Labour or a National coalition over the next fortnight will naturally depend much more on how Winston’s policies fit with those of the major parties. There’s also the question of what he may be wanting to leave as his political legacy. I believe he’ll be thinking very carefully about the long-term future of New Zealand First. He’ll want to leave his party in good health when he eventually does opt out of politics. And that future may be much more secure in the wake of a three-year coalition with a young and rising Labour Party than by linking up with Bill English and his National mates, who seem to be on the decline even though their voting support held up well in the election. On policy issues alone, the best fit is for Winston to go with Labour. Hands down. For example, Bill English has always been passionate about raising the retirement age to 67, and then to 70. Winston opposes that. So does Labour. National has never wanted to do anything about curbing the mass immigration into New Zealand. But Winston wants to cut back the flow of migrants, and Labour has campaigned on that as well. Labour opposes foreign speculation on our residential houses. So does Winston. And if we take into account that Winston is still smarting over what he saw as National’s smear campaign against him during the election campaign, I think he may well be tempted to lean towards a reforming Labour government. As others have noted, a possible minority government scenario would be a Labour and New Zealand First coalition, with a commitment on confidence and supply from the Greens. But I can’t find any statements from Winston indicating that he wouldn’t work with the Greens in a coalition. Regardless of who goes with whom to form the new government in the aftermath of this extraordinary election, we must all hope that there are ways found to ease the plight of our people. Those living in cars, carports and garages. The jobless. Those on waiting lists for health care. Kids going to school hungry. And so on. There needs to be an end to the policies that favour the rich over the poor, the well over the sick, the housed over the homeless, and the greedy over the hungry. There is, however, a lot that our Māori people can already take from the election. We can celebrate the influx of so much Māori talent — and the Ngāpuhi among us can bask in the knowledge that there are now eight Māori MPs with whakapapa to the north. 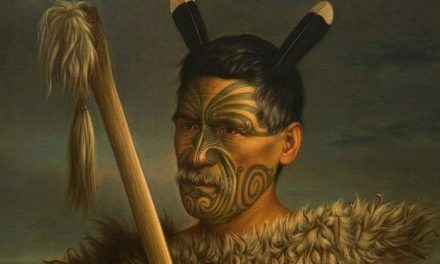 Even ACT’s David Seymour is of Ngāpuhi descent. Among the youthful newcomers, there’s Labour’s Kiritapu Allen, a feisty, high-achieving 33-year-old who, I believe, is a future leader in waiting. There’s also Tamati Coffey who won Waiariki fair and square after dusting himself off from losing Rotorua in 2014 and putting in three years of hard work. Māori Party supporters attacking his win on social media should put their lips on park. Show some grace, folks. It’s called democracy. Then we’ve had the normally media-shy Tariana Turia stepping forward to provide her party’s people with hope. There was no shortage of males speaking on behalf of the Māori Party before its demise on Saturday night. But when the going gets tough, the tough get going, so Tariana came out of retirement to shine a light for the movement she founded. As for Marama Fox, I found myself, for the first time, agreeing with every word that Willie Jackson said on television on Sunday when he urged Marama to stop equating Labour’s success with the “abused going back to the abuser”. There are too many battered Māori women throughout the motu to use that metaphor. It wasn’t a good way to explain how the Māori Party lost. It’s always difficult for a minor party in coalition with a larger one under MMP. To a certain extent, the Māori Party paid the price simply because of that situation. 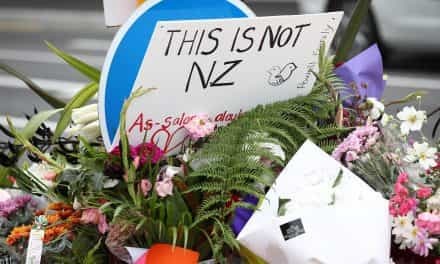 Another factor was that the Māori Party was founded by activists who marched on Wellington against the 2004 Foreshore and Seabed legislation. 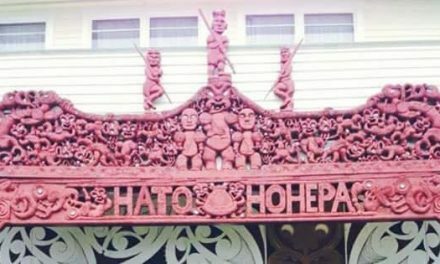 But in recent years the Māori Party has been an apologist for National Party policy and often appeared to be more closely aligned to more conservative Māori leadership, including the Iwi Leaders Forum. Here in Whakatane, it was interesting for me listening to the rumbling in the flaxroots in Te Ururoa’s electorate. 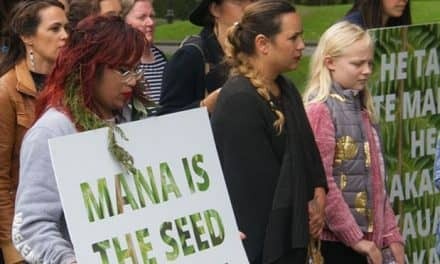 A significant number of people were unhappy with his Te Ture Whenua Māori Bill, which sought to amend the rules governing Māori land. They didn’t like his roadshows, and remained concerned and confused about his proposed changes. He must have picked this up himself, because he took the bill off the table until after the election. But there was a recurring, unfair criticism that he had “rolled into town in a flash car, with a lot of people in a big flash bus and started campaigning.” Was he supposed to hitchhike on the campaign trail? Every party has a bus. I understand the sadness of those disappointed about the loss of the Māori Party from parliament. Our people were leading champions for the creation of MMP. As the former leader of Mana Motuhake, I still say there must always be room for a Māori political party and movement in parliament. But it needs to be unified. And it shouldn’t swerve to the right which, in my view, the Māori Party did — or disappear like my own party did under the Alliance. We need a Māori political movement that can take advantage of MMP and define our own political destiny. Meanwhile, we see Jacinda and Bill still competing for the top job. Labour’s Jacinda Ardern is not Helen Clark. She was raised in Murupara — and, going back through many of her speeches in parliament, I’ve noted her position on matters Māori, including te reo Māori. And she looks staunch. Helen Clark was a great leader, but she had an Achilles heel: she wasn’t strong on Māori issues — and that’s why we ended up with the Foreshore and Seabed Act. Māori didn’t revert to type when they voted Labour in this election. Just look at all the issues that came out in this campaign: homelessness, immigration, superannuation, and increasing poverty. These all are up-close-and-personal issues for our people. They voted strategically, because they knew there was a fighting chance (as there still is) that there could be meaningful change with Jacinda. Sandra Lee-Vercoe is a former MP and leader of the Mana Motuhake party. Good analysis Sandra. And I like yr positive spirit. Agree re negative, ungracious comments on soxial media by maori party supporters! Need to look internally at ourselves in the first instance as part of a comprehensive self review. Can we get back up off the floor? Now theres a challenge. Me and my Murupara branch up for it. MMP …its made more visible Maori Political leaders professional and able to have their voice in Parliament….thats a good thing ……..
Tautoko. Who knew David Seymour of ACT Epsom was Ngapuhi? He certainly kept that quiet. I voted in Te Tai Tonga – and gave Hone Harawira my Party Vote for MANA. The new coalition Labour-NZF-Green Party Government will be great, and worth the wait. But it would have been even greater with Metiria Turei (Green) and Hone Harawira (MANA) as well. Ma te wa. Until next time. Ka mau te wehi! In all my life I have never voted for National or Labour and this year I and many of our tamariki in my whanau went to Labour. Why? Because we are sick and tired of the same old same old rhetoric dominated by the same old boring bland white, middle aged and Male so called Leaders and Labour came in with a fresh vibrant and exciting Female leader with many fresh faces behind her with, fresh ideas, a different view of how to deal with our issues and bold, straight up and courageous in putting it out there what she is committing to. Jacinda is coming in to her Leadership dragging nothing from her past and can only see what is possible for the future. Bill English came into these elections with the past of his party and everything that didn’t work about it and I just could not hear what his party was creating for the future except trying to clean up the past. That is not a future I want for myself and my whanau where years later we’re still dealing with Nationals failures and so we want to hear from a different voice. a young, excited, vibrant voice that speaks to a bright future every day when everything else is screaming it cannot be done!!!! !Lets do this Jacinda!